Automatically download missing artwork and other track info directly to edit your music files. Artwork and saved music tags can be viewed in iTunes, iPhone, iPod and Android devices. 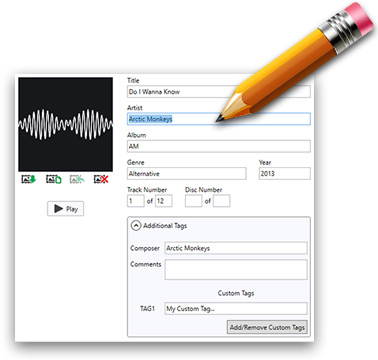 Download Music Tag for PC or Mac and organize your music library. Music Tag is an automatic MP3 tagger using advanced digital fingerprinting technology to identify your music and then downloads the correct artwork and other data like track Title, Artist, Album and more. The software enables you to save this information in your music file where it can be accessed by your music library manager and portable media players. Music Tag can recognize over 35 million music items. Tag music quickly and easily, by downloading missing tags or artwork to save even more time. You'll have tidied your library in no time! If you don't want to automatically tag your music, take more control with the Music Tag Editor feature. Modern music library software like iTunes and Windows Media Player or portable media players like iPod use information embedded in your music files to correctly catalog your music library. But what happens when that information is incorrect or missing completely? Drag and drop music directly from iTunes into Music Tag to start tagging! 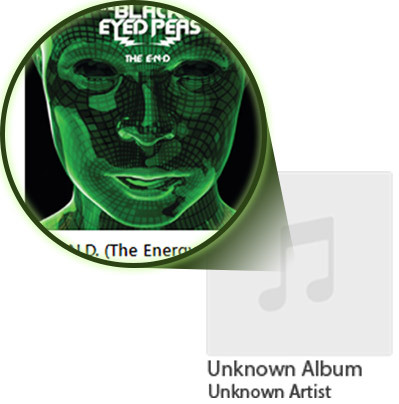 Quickly find and download missing album artwork for your music files. Music Tag can do this automatically for you, or you can add existing album art from images on your computer. Artwork and saved music tags can be viewed in iTunes, iPhone, iPod and Android devices. A music library is not complete without the stunning graphics that the artists intended to accompany their music.